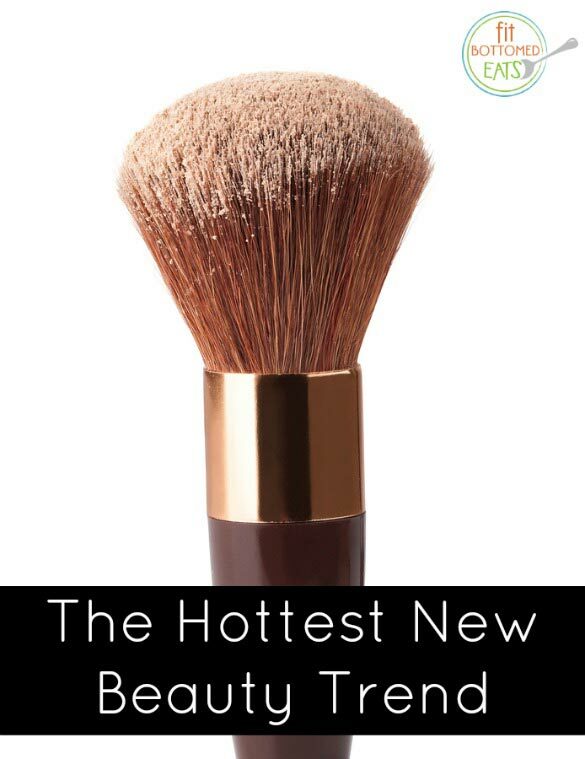 The Hottest New Beauty Trend: Food! We don’t do much as far as beauty goes in these parts — unless, of course, it’s about making your eats more beautiful. But a recent beauty trend has caught our eyeballs of late, and we just had to share with our fellow foodies! It’s food! We’ve talked about how certain foods are said to have beauty superpowers, but these days, we’re seeing food being used in beauty products more and more. And we dig it. Here are four products that recently caught our eyeballs and are setting the new food beauty trend! 1. Ellovi Tinted Lip Butter. Want your beauty products to be so natural that you could actually, well, eat them? Ellovi would be it! And we’re pretty obsessed with its Tinted Lip Butter. Made from ingredients like sunflower, macadamia and Hawaiian coconut, it’s lead-free color (tinted with the Mediterranean flower called Alkanet) that moisturizes and looks great on just about all skin tones. We also dig its Body Butter that has hemp seed in it and is a natural sunscreen! 2. 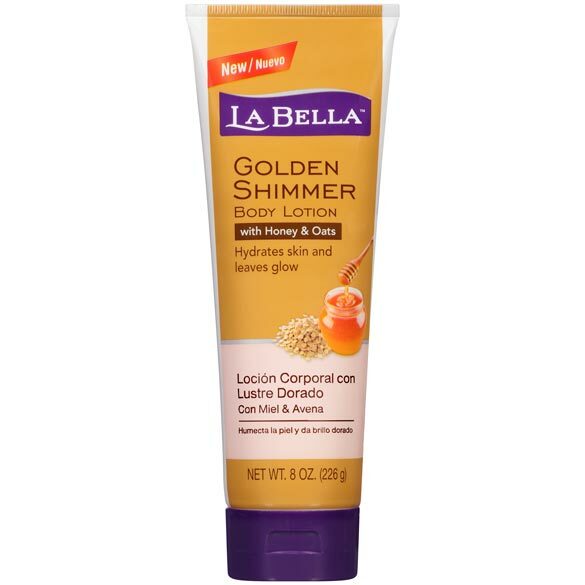 La Bella Golden Shimmer Body Lotion. Okay, so you can’t eat this one, but you can glow with it. Giving you a bit of a shimmer with a nice dose of moisture that’s amped up by honey and oats, the La Bella Golden Shimmer Body Lotion is great to put on before a big night out for a little extra sparkle. It smells great, too! 3. 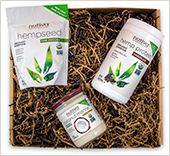 Nutiva Body Care Kit. Are you more of a DIY beauty trend guy or gal? Check out this Nutiva Body Care Kit that includes the same stuff you cook with — coconut oil, hemp oil and coconut sugar — in one package that you can also use as chemical-free beauty products. Use the coconut oil as a make-up remover, conditioning hair mask, skin moisturizer or shaving cream. Use the hemp oil as a facial moisturizer. And mix the coconut sugar with some coconut oil for an exfoliating scrub. 4. 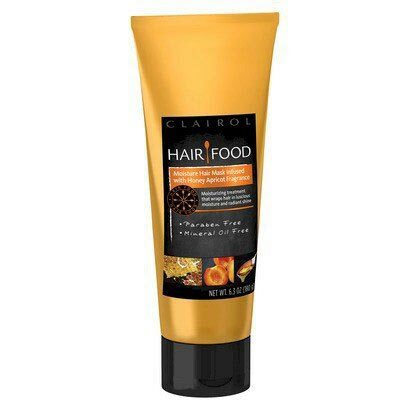 Clairol Hair Food Moisture Hair Mask Infused With Honey Apricot Fragrance. You know what smells delicious? THIS. Seriously, it’ll have you smelling your hair all day long and craving apricots drizzled with honey. But what’s really great about this hair mask — in addition to its foodie nature, of course — is that it’s paraben-free and mineral-oil free. And it’ll give your hair so much moisture and shine!